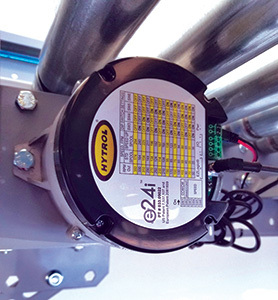 E24 is a brushless, gearless, low RPM, high torque motor that drives conveyor rollers reliably and efficiently. The external motor provides exceptional flexibility, superb heat dissipation, and a robustness that cannot be achieved with motors embedded in conveyor rollers. 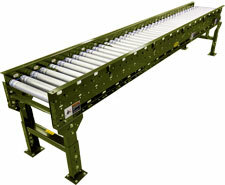 This new conveyor technology provides high performance and reliable solutions within a safe, quiet working environment. Its self-contained modules arrive fully assembled and tested. These quick-connect modules provide a substantial reduction in wiring and installation. E24 is ideal for distribution operations with frequent layout changes or for manufacturers that need to quickly change process lines. The modular design marries the lowest total cost of ownership with the highest levels of performance and safety. Solutions can either be configured with internal plug and play controls, or integrated with external controls.